Welcome to Marlboro Chiropractic Health located in Marlborough. Chiropractic is one of the most amazing healthcare professions, but very few people understand what it's all about. This article is here to help you gain a basic understanding of how our Marlborough chiropractors can help you and your family. At Marlboro Chiropractic Health our chiropractic team is ready to meet with you to discuss your needs. We will help to design a program that is right for you. We look forward to meeting you. Marlboro Chiropractic Health, we know the importance of improving efficiency and modernizing our practice for the benefits to provide the best care for our patients. The advantages of our CCD-DR digital x-rays over conventional radiography include: digital x-rays expose patients to 70-80 % less radiation, clearer quality for diagnosis and less wait time for the patients. You don't have to live in pain. We are here to help you get your life back. Contact us today to see how we can help you feel better today. If you are struggling with headaches or migraines, call our team today for help. Don't let back pain stop you. Contact us today. 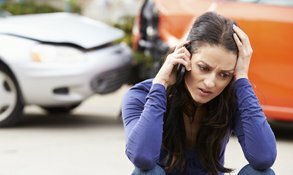 Have you been in an auto accident? Call today. Is neck pain bothering you? Contact our team today for help! A miracle for me. I was twisted, could barely walk and in so much pain. Today I am standing straight and can go out for walks and live my life. Dr. Ed is so knowledgeable and a bonus is both he and office manager Kim are friendly and fun.